Tooth Relic | Sana Ako si Ricky Lee! Several months ago, I wrote about Thailand’s Four Faced Buddha, which remains to be one of the most popular religious icons that the country has ever produced. That particular post remains to be one of the most well read post, it’s constantly in the top 12 post of my blog. I was not surprised how well you, the readers of this blog, received that particular post, it is because the 4-Faced Buddha is really one of the most popular spiritual icon because the 4-Faced Buddha is extremely powerful and swift in delivering his blessings. 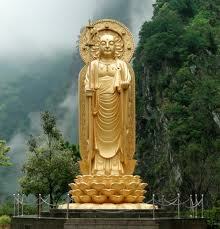 In fact, I received a lot of emails from people who have experienced the miraculous protection of the 4-Faced Buddha. Today, allow me to introduce you to another very powerful religious or spiritual tool that came out in Thailand. I’m talking about the Jatukam Ramathep Amulets, sometimes simply called as Jatukam Amulets. Some people, especially Westerners, will sometimes spell it as Jatukarm (with an R), this is because that’s how it’s pronounce by Thais. Jatukam Amulets became so famous that I’ve met a couple of Thais from Phuket and a Chinese Thai from that haven’t heard of Mario Mauer, a Thai famous actor, but who absolutely gets excited when I mentioned the Jatukam Amulet. Jatukam Ramathep Amulets can be considered as Thailand’s modern powerful amulet of unknown origin because it is, I think, the only amulet that was discovered in modern times, also it is also a very powerful amulet as can be attested of those who has it, like me. But before that let me share with you story of where the amulet came from. The truth is, there are a lot of different stories relating to the history of the Jatukam Ramathep Amulets. I will not dwell about the different stories, but instead allow me to share with you the most widely accepted story. It is said that during the 800 AD, Asia experienced one of its greatest turbulent era. The King of Siam (modern day Thailand) has two royal sons who are very devoted to the throne and to Buddha. The princes’ names are Jatukam and Ramathep. Obviously, the amulets were named after them. But before we go the story of the princes, it is important to share with you that their father is said to be a very powerful and noble king. The king is also a devoted Buddhist. Going to wars only when he really has to. It is in one of these wars that the King was able to get possession of some sacred relics of Siddhartha Buddha himself in Sri Lanka. He naturally brought the sacred relic to his kingdom and palace in Siam (Thailand). Because the sacred relic is so precious the king decided that he could only entrust it to his sons – Jatukam and Ramathep. It is also said that a Buddhist monk tried to approach the King to tell him that he had a vision that the Buddha wants the sacred relic to be transported to a province in Northern Siam. However, palace guards prevented the monk from facing the king, thus he was unable to convey his vision. After a few years, with the war in Asia further escalating, the King found himself travelling with some of his people to protect his kingdom. Unfortunately, Siam is losing the war, and enemies were conspiring to take the kingdom’s riches and also the Buddha relics ‘owned’ by the kingdom. To protect the relic of Siddhartha Buddha they decided to bring it back to Sri Lanka. The two princes unable to send word to their father the king decided to head to Sri Lanka by sea. On their way to Sri Lanka, a wicked storm came and sunk their ship. Some say that all the people aboard the ship died except for the two princes, and some say all of them survived and wash ashore in a land of fertile soil. The place is now the present day Nakhon Si Thammarat (spelled as Nakhon Sri Thammarat). According to the stories, the princes tired their best to continue their mission to move to Sri Lanka, however, for some weird reason, they were unable to move the case containing the relic. They took it as a sign that the relic wants to make Nakhon Si Thammarat as its home. Because of this the princes decided to make Nakhon Si Thammarat as their new home. They build Wat Phra Mahathat Woromaha Vihan, a Buddhist temple that still stands in Nakhon Sri Thammarat. To this day, you’ll still see the said temple, which has again become really famous because of the Jatukam amulets. Also, to this day, the Buddha relics that the two princes were trying to saved are still in that temple. Some say that the relic is a Tooth Relic. However, for a very long the temple’s history is actually unknown, although there was some oral history handed down from one generation to the other. Until several years back when they were renovating the temple they chance upon the relic the princes’ bodies buried near where the relics is hidden. After awhile, Thais immortalized the two princes and started praying to them as one, thus calling them Tao Jatukam Ramathep. It is said that praying to Tao Jatukam Ramathep will be blessed with a happy, well-balanced life, filled with wealth. Several years back I was bless with the fortune to be able to visit the temple – Wat Phra Mahathat Woromaha Vihan. It’s located at Ratchadamnoen Road. At the entrance of the temple are statues of Tao Jatukam and Tao Ramathep, this is very symbolic of their mortal duties as the guardian of the Buddha relics housed within. Note that the story just shared with you is the most widely accepted version of the history of the temple and of Jatukam Ramathep. The truth there are a lot more different versions, and nobody is unable to say which of the stories circulating are the most accurate version. However, what is certain is that it was a Thai policeman named Khun Phantharak Rajjadej a devotee of Tao Jatukam and Tao Ramathep, who first commissioned the monks of the temple to make him a Jatukam Ramathep amulet. This was in 1987 and no known Jatukam Ramathep amulets existed before that. Khun Phantharak Rajjadej believes that it is Tao Jatukam and Tao Ramathep who helps him solves his difficult murder cases. Again, Khun Phantharak Rajjadej left not written record, but according to his family, one time in an official police operation, a friend and colleague of Khun Phantharak Rajjadej was shot and died. Fearing more for his family than for himself, he begged Tao Jatukam and Tao Ramathep to always protect him and to continuously provide for his family, because his meager salary as a police is not enough. This is the back side of my Jatukam Ramathep Amulet. Again, there are two versions of how he came up with the Jatukam Ramathep amulets. One version is that after praying to Tao Jatukam and Tao Ramathep, he was paid a visit by the two guardian princes in his dream, there he was told to convince the Buddhist monks of Wat Phra Mahathat Woromaha Vihan to make an amulet for him. It was said that it was Tao Jatukam and Tao Ramathep who told him the basic manner of making the amulet, which he needs to convey to the Buddhist monks. The other version is that after praying to the princes, he was approached by a woman who has no knowledge of what he prayed for but told him that she had a vision from Tao Jatukam and Tao Ramathep, to tell him to convince the monks to make an amulet. The two versions state that it was Tao Jatukam and Tao Ramathep themselves through the dream or the vision who gave Khun Phantharak Rajjadej the ‘ingredients’ and the procedures of doing the amulet. The ingredients of the amulet are quite simple, because all they need is some incense ash from the temple, soil, and a very small splinter of wood from the old doors or roofs of the temple. The design is also quite simple because it is said that Tao Jatukam and Tao Ramathep has provided this through the dream or vision. 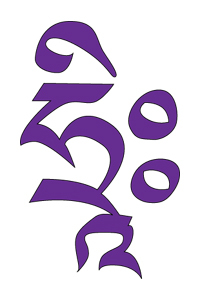 What’s difficult is the process of making it, because the Buddhist monks will have to do empowering meditation for one lunar cycle and then they will have to travel to the mountain, and the sea, face EAST, WEST, NORTH, SOUTH to make a special prayer in each of the direction before the amulet is fully empowered and effective. Well, did the amulet for Khun Phantharak Rajjadej? To answer that question, allow me to share with you that after he got hold of the amulet, it is said that he never had an unsolved case. Furthermore, he and his family were all blessed with material wealth and long life. Khun Phantharak Rajjadej himself died at the age of 108 and has the position of a Major General. He also became so loved and respected for his selfless acts to protect the public that he was given a Royal Cremation ceremony where more than 250,000 people attended. Also in attendance are several government officials, businessmen, and celebrities. His Royal Highness Crown Prince Maha Vajiralongkorn presided over the ceremony, which is under the patronage of the Thai King and Queen. Major General Khun Phantharak Rajjadej. Image was uploaded from Google. By that time, the amulet has already gained some popularity, but it was the Thai King himself, King Bhumibol Adulyadej who furthered made the amulet really famous. King Bhumibol Adulyadej got really ill and was rumored to be on his death bed. The rumor was not surprising because it was the first time that he was confined in the hospital for long period of time and it was also the first time that several members of the Thai royal family had to cancel several official engagement to be with the king. However, after a few weeks the king was discharged from the hospital and he was seen, videoed and photographed to be wearing one of the original Jatukam Ramathep Amulets, it is from the batch that was commissioned by Khun Phantharak Rajjadej. The image of the Thai king leaving the hospital wearing a Jatukam Ramathep Amulet further soared its popularity, and a businessman who said to have been blessed by the first batch of the Jatukam Ramathep amulet again commissioned the temple to make another batch of Jatukam Ramathep amulets to be given out for a minimal fee. On the day of its release, a lot of people flock to Wat Phra Mahathat Woromaha Vihan to get an amulet. The crowd became so unruly that a woman died during a stampede. Because of this incident the Buddhist monks threatened that they will hold off the releasing of the amulet and that they will no longer make any Jatukam Ramathep amulet. For a while, they did what they said, and it was after a few more years when they started making another batch of Jatukam Ramathep amulet. Because of this, prices of the existing first 2 batches of Jatukam Ramathep went really high. In fact, a Jatukam Ramathep from the original batch that was commissioned by Khun Phantharak Rajjadej now costs about US$ 300,000.00 and somebody bought it!!! I was fortunate enough to be able to get a Jatukam Ramathep amulet from the 4th batch that was made by the Buddhist monks of Wat Phra Mahathat Woromaha Vihan. This is a prized possession because the truth is they can only make Jatukam Ramathep amulets by batches, once, at most, twice a year. There are a lot of wonderful and magical stories about the Jatukam Ramathep amulets, and all you need is to Google it to read about them. However, I have personally heard from people who has directly benefitted from the Jatukam Ramathep Amulets that is why I decided to get one for myself to try it out. This was before I became a believer. When I first had my Jatukam Ramathep amulet, I immediately felt its power. The feeling is very subtle and quite difficult to explain but more than that I also noticed that everything seems to be going smoothly. 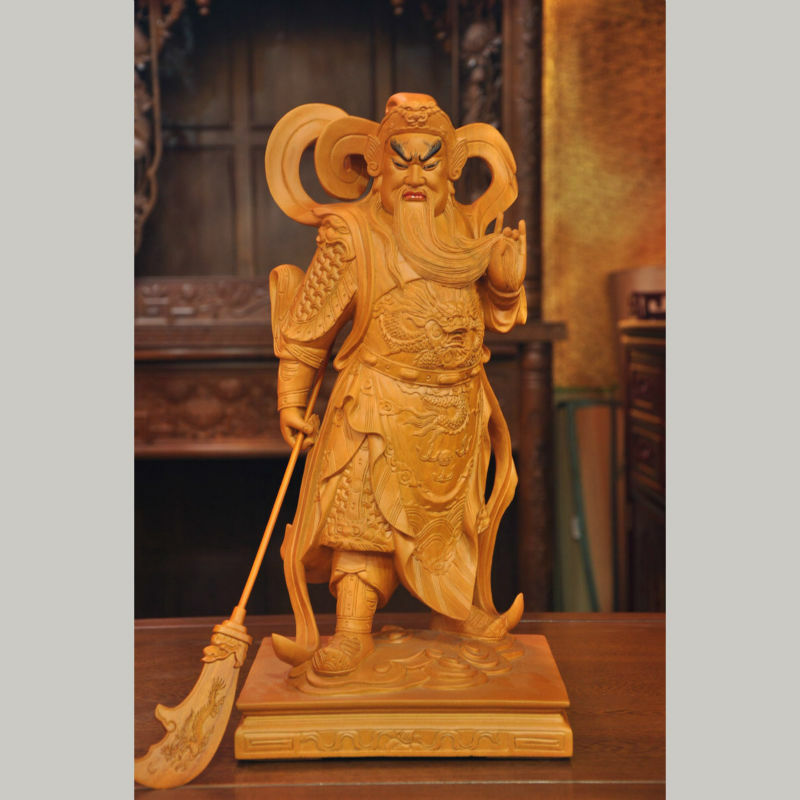 I have already been practicing Feng Shui and have been enjoying its good effect when I had my Jatukam amulets, so there is really no astounding personal story that I can share with you. However, whenever I’m running into an extremely bad month or year or week as indicated by my Flying Stars, I always wear it and everything seems to go really smoother. Nevertheless, allow me to share with you the story of a friend who also got a Jatukam Ramathep amulet from the 7th batch that was made. He was experiencing a particularly difficult year. I think it was karmic because no Feng Shui cure seems to work. His marriage was going through a really bad time and he got separated from his wife and his 2 children. Business is also really bad and he is about to declare himself bankrupt! Out of desperation, he requested me to acquire for him a Jatukam Ramathep amulet. We both travelled to Thailand to get his Jatukam Ramathep amulet. When we got back home 2 days after he got his Jatukam Ramathep, his brother called him to inform him that he was able to get him an investor who can help him get out of financial rut. This is something that he is looking for but a lot of people think that his business is too far-gone that nobody wants to gamble on a losing business. Furthermore, he was able to make peace with his wife and they started living together again, it happened a month after he got his Jatukam Ramathep amulet. Another story that I would like to share is from a Malaysian businesswoman, who said that 3 days after wearing her Jatukam Ramathep amulet, she went to buy a lottery ticket. Guess what? She won!!! Stories like these…testimonials like these are what make the Jatukam Ramathep amulet really famous. In fact, they are so famous that it is now a 20 Million Baht ‘industry’. Unfortunately, a lot of these are Jatukam Ramathep amulets that have the same designed but are no longer made in Wat Phra Mahathat Woromaha Vihan, and they don’t go through the empowering meditation and the mountain, sea, east, west, north, and south special empowering prayer. I know I might get into trouble by saying this, but for me, I think unless a Jatukam Ramathep amulet is not made in Wat Phra Mahathat Woromaha Vihan, then it is considered fake. 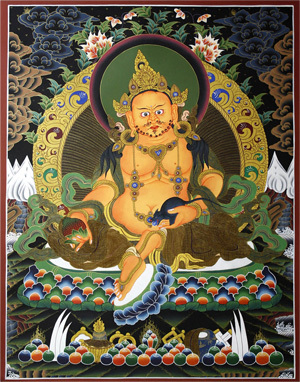 Remember, some of the main ingredients of the Jatukam Ramathep as instructed by Tao Jatukam and Tao Ramathep is for it to have incense, soil, and a splinter from the old door or ceiling of the temple. The main ingredients, not to mention the empowering prayers done, are what make Jatukam Ramathep amulets powerful. In fact, the first and second batch of the Jatukam Ramathep amulets are made purely of hardened soil and clay, and they are considered to be truly potent that just merely holding them can fulfill our wishes. However, because it doesn’t have a plastic casing they easily break also and a lot of the original Jatukam Ramathep amulets no longer exist. If you plan to get yourself a Jatukam Ramathep amulet, please make sure that it is made by the Buddhist monks, with the ingredients from Wat Phra Mahathat Woromaha Vihan. There are a lot of Jatukam online, and in the malls in Bangkok, most of them are not real Jatukam!!!! Most Jatukams are quite expensive and this is because it is really hard to make them and it takes money to make them, especially, the newer version of Jatukam Ramathep amulets is also partly made of bronze, or silver, or gold. The money goes to the restoration and maintenance of Wat Phra Mahathat Woromaha Vihan. Now, is also the best time to get your Jatukam Ramathep amulets, because Wat Phra Mahathat Woromaha Vihan monks have just released the batch 14 of Jatukam Ramathep amulets. This is also one of the reasons why I’m going to Thailand on the 16th of January. I’m going there with some friends to get some Jatukam Amulets from batch 14. Personally, I’m getting more of the Jatukam Ramathep amulets for my nephews who still don’t have one! BLOGGER’S NOTE ADDED DEC. 30, 2012 AT 19:45: It’s been only nineteen hours ago when I posted this ‘article’ about the powerful Jatukam Ramathep amulet and I already got a total of 17 email asking whether I can help them get the Jatukam Ramuthep in my upcoming trip to Thailand. I urge you to make that trip yourself, but make it soon because the latest batch is selling really fast. But to answer the question whether I can help get them the amulet, the answer is Yes. You can email me directly at sanaakosirickylee@gmail.com. FREQUENTLY ASKED QUESTIONS ADDED JANUARY 3, 2012 22:45: I decided to include this FAQ because I’ve been receiving a lot of questions through email about the Jatukam Ramathep Amulet. Q1: Do we need to have the amulet blessed or cleansed from time-to-time or after wearing for a long time? The answer is NO. 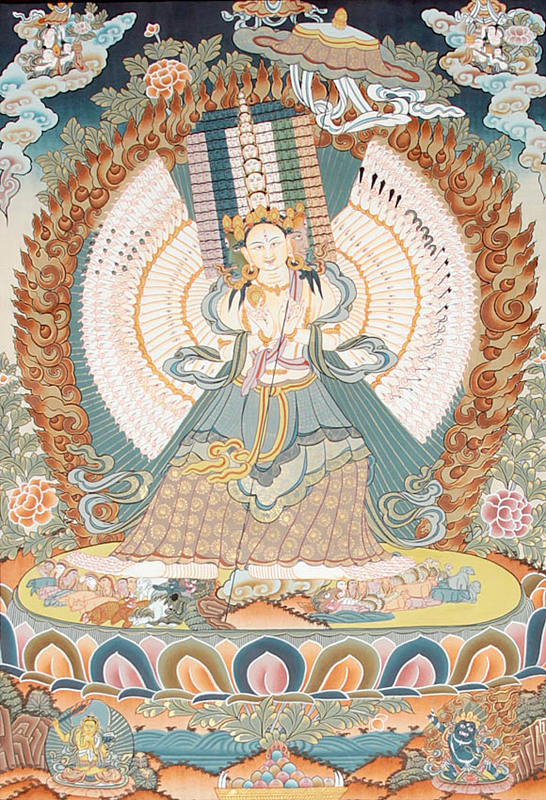 The only who can bless the amulet is the Buddhist monks who made them. Actual blessing of the pendant is done through an empowering meditation and special prayer done in the mountain and the sea, and facing East, West, North, and South. 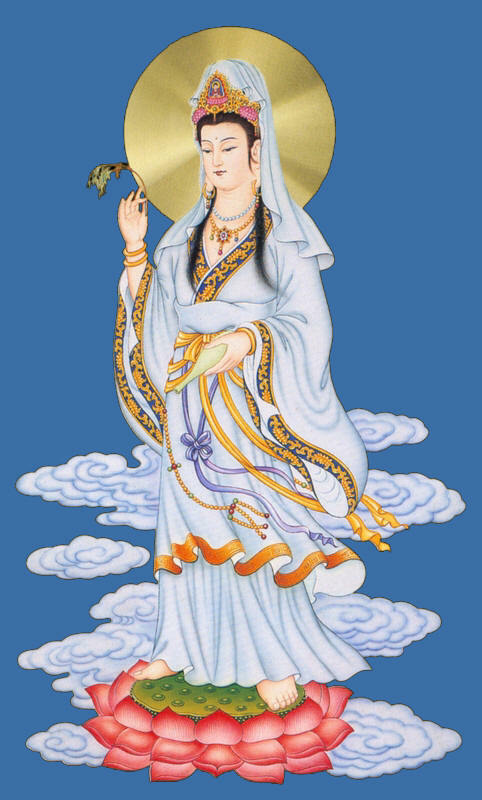 However, if people touches your pendant, it might be a good idea to let it pass over an incense smoke. Q2: Is there a special mantra for the Jatukam Ramathep amulet? The answer is NO. Just wear it and it will start working for you. Q3: Can the Jatukam Ramathep amulet be shared from one member of the family to another? This is not a very ideal thing to do. However, since the amulet is quite pricey, this may be an alternative. A family member who may be experiencing a spade of bad luck can wear it. Q4: Are the Jatukam amulets available online real? My answer to this particular question is ‘I don’t know’. You will have to check whether they are really a reputable supplier. As mentioned in the article, there are a lot of other Buddhist temples, and, unfortunately, even ‘businessmen’ who started making their own Jatukam Ramathep amulet. Remember, if it didn’t come from Wat Phra Mahathat Woromaha Vihan, and was not made by the monks from that temple, and if doesn’t have the material from the said temple, then it is not a real Jatukam Ramathep amulet. It needs to have all the component to make it a real Jatukam Ramathep amulet. When buying online, I suggest you do the following: 1. CHECK THE CREDIBILITY OF THE ONLINE STORE. 2. CHECK WHAT BATCH OF JATUKAM ARE THEY SELLING. Note that Jatukam amulets are in high demand, the truth is there is no longer single Jatukam Ramathep amulet available in the market from the last batch (before this latest one recently released) that was made. If it’s an original Jatukam Ramathep ask them from what batch it belongs and ask how were they able to ‘hoard’ and not sell it right away. 3. PRICE IS ALSO A FACTOR. Unfortunately, because of the tedious process, and some of the precious materials used in doing the Jatukam Ramathep it is usually very expensive. The one’s I’m getting from this last batch is quite pricey. It’s THB 11,200.00. Q5. Is there any special way of wearing the amulet? 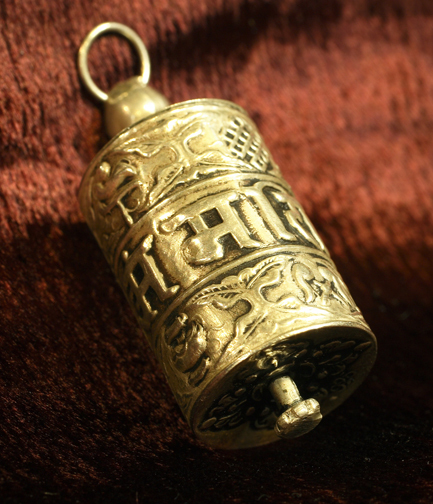 Unlike other amulets or talismans, the amulet is usually worn outside the shirt. Meaning it is usually worn exposed. However, I personally wear it hidden under my shirt.